The classic seventeen story Alexander condo is found to the east of Collins Avenue, a major roadway that runs north and south across the entire barrier island. The location of the building allows residents great views of the Atlantic Ocean as well as the island neighborhoods like La Gorce and its large golf course. Similar to other buildings on Collins Avenue, Alexander residents are also just a couple of steps from the beach to the east of the building. A major feature of The Alexander condo is the direct access to the beach but you'll also come across other amenities that include a tiki bar near the ocean, a modern fitness center, a swimming pool designed in a resort style, attractive landscaping and more. 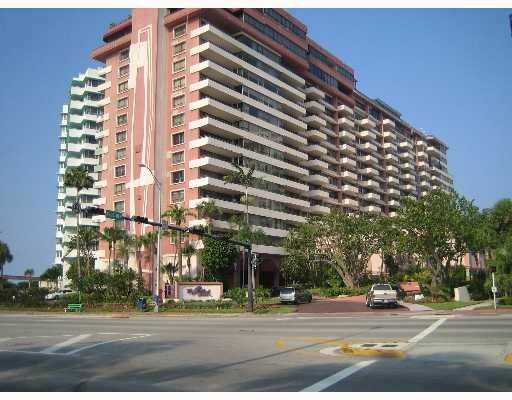 The Miami Beach condos for sale of The Alexander have one, two or three bedrooms in floorplans that emphasize space. Oversized balconies are just one of the many residential features you'll find inside. Next door to The Alexander is 53rd Street Park, a small commons that complements the beach that residents can walk to. To the south is the Fontainebleau, a major Miami Beach hotspot and just one of many that includes Ocean Drive and Lincoln Road also to the south. If you head north on Collins Avenue you'll eventually reach the village of Bal Harbour, home to the Bal Harbour Shops.